Audrey and Jim Murray recently celebrated their 70th wedding anniversary. The couple met in the late 1940s, when Jim was waiting to be discharged from the Royal Australian Air Force after WWII. “He was a very cheeky young man at that time. When we were introduced, I said to my friend who introduced me, I thought he was too full of himself,” says Audrey, as they both smile. Their love blossomed when they were both invited to another party and found themselves face-to-face. “We played this party game where all the girls were in one room, and the boys were in a different room, and we were all given a piece of string. [You] had to nibble on it around the corner into the other room, and there was somebody on the other end of this piece of string. That’s really how we met with a bang,” says Audrey. At the time, she was 16 and Jim was 19. They wanted to get married, but Audrey says her mother “would have had a fit”. By the time they actually tied the knot, she was 20. 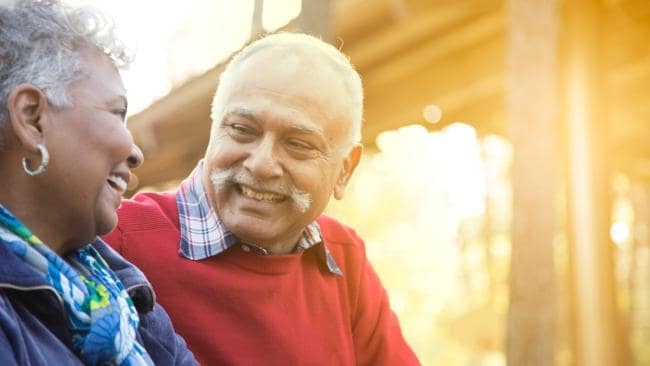 These days, the couple enjoys their later years at a retirement community in Murwillumbah and have three children, seven grown grandchildren, and 10 great-grandchildren. “Nobody’s more surprised than us,” she says.